A familiar core concept of strength training (and powerlifting in particular) is the idea of partitioning workouts into “core” and “assistance” exercises. An exercise will typically receive “core” designation based on it’s importance to the lifter’s overall objectives, and “assistance” drills are pretty much exactly what they sound like: they’re performed with the idea of shoring up weaknesses that for whatever reason, the core exercises don’t manage to address. A simple example of this concept might be a powerlifter who performs low-bar back squats as a core exercise, and perhaps front squats as an assistance exercise. In this example, the front squat is chosen for it’s ability to more intensively target the quadriceps muscles, which are quite often a weak link in the low-bar back squat, which is a more hip-dominant movement. Although the use of assistance exercises is common in the sport of powerlifting, it isn’t universal. In fact, one of raw powerlifting’s current superstars, Andrey Malanichev (who recently squatted 1014 pounds faster than you can squat 135) recently stated that he really doesn’t perform any assistance lifts at all — he simply trains the 3 “big” lifts, and that’s it. Other top lifters, such as World record holder Mike Tuchsherer seem to follow the same strategy, but in truth, ALL great lifters work on shoring up their weak spots — some just do it in less obvious ways than others. Really, what we’re talking about here, is where your training should ideally fall on the “specificity continuum.” As a powerlifter, training nothing but the 3 contests lifts, and always working up to maximum weights, would be considered 100% specificity. If you did the exact opposite of that (whatever that is) you’d be operating at 100% generality. Like pretty much everything in life, neither extreme yields optimum results. I’ve often noticed that I tend to assess the difficulty of a particular rep based on the entire movement path. This is not an accurate assessment however— the most accurate way to assess the difficulty of a heavy rep is not how fast the rep was in general, but rather, how fast the rep was at the sticking point — the range of motion where your leverage is worst. Perhaps the most efficient (and specific) way of doing this is implementing pauses at these sticking points of your core lifts, whatever they happen to be. 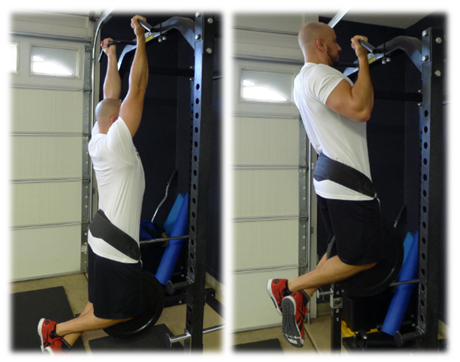 For this article, I’ll tend to use the 3 power lifts in my examples, but if you’re using the military press or pull-up, or any exercises as a core lift, the same principles will still apply. I first took serious notice of pausing after looking at some of Mike Tuchsherer’s training concepts, which made a lot of sense to me. I first implemented this idea on squats, which, due to my height, long levers, and previous knee surgeries, have always been particularly challenging to me. My usual warmup involved doing 3 sets of 5 bodyweight squats just to loosen up, and then I’d move on to the bar. Rather than simply performing 5 standard-tempo reps with bodyweight, I decided to pause for a full 5 seconds at the bottom (my weakest point of the movement). What I noticed (and it was much to my surprise by the way) is that I felt more mobile and warmed up after one set performed this way, than with my typical 3 sets the way I’d been doing them before! Proceeding to the barbell, I understood that by implementing a pause at the bottom of each rep, I shouldn’t expect to use the same weights I’d normally use, but as I worked my way up, something suddenly occurred to me: I really hate it at the bottom of the squat! Even with light weights — for me, it’s just an uncomfortable place for me to be. Fast forward 3 months, and guess what? By doing lots of 3 and 5-second holds at the bottom, I began to become more comfortable down there. The “hole” was becoming a more familiar, and hence, comfortable place to be. That, along with the fact that I was significantly increasing my time under tension at my sticking point, dramatically increased my confidence, as well as my overall proficiency in the squat. If you’re new to pause-training, start by adding a few “back off” sets at the end of your normal session, and make the weight light enough to that you can do a solid 3-second pause at your sticking point, wherever that might be for you. These sets needn’t be more than 3 reps by the way — remember, your overall TUT will be fairly long due to the pauses. Even though more traditional assistance exercises (like front squats, good mornings, and close-grip benches for example) can and do work for a lot of people, I think a better approach is to simply vary your stance, grip, and/or in the case of the squat, bar placement. In squatting for example, where the quads are often a weak muscle group, simply switching to a high-bar position is often plenty of additional stress for the quads, and it’s very lift-specific stress at that. 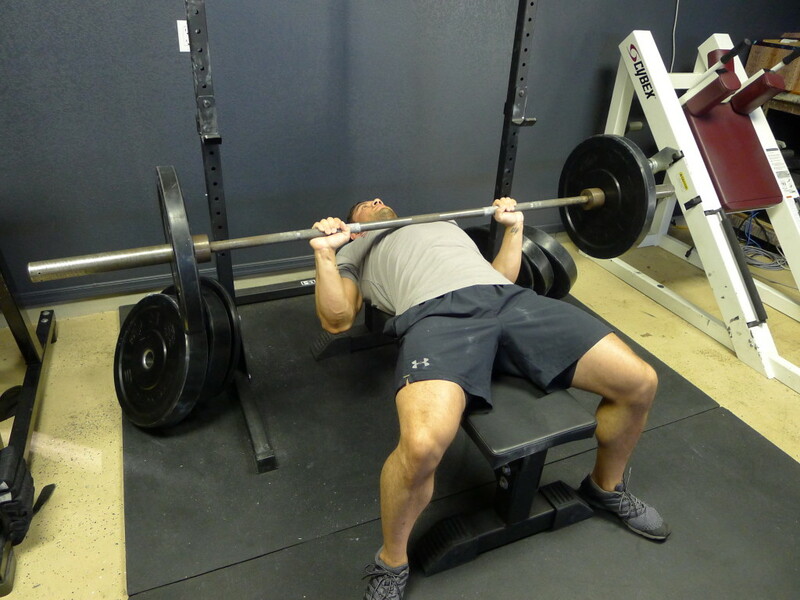 In the bench press, I DO like close-grips, but my suggestion is to bring your grip in only about an inch per side, rather than the 4-6 inches that’s much more typical. Again, this slight tweak is plenty to target those weak triceps, but not so much that your pecs are under-loaded. And for the deadlift, a slightly wider grip than usual will deliver the same benefits as doing deficit pulls, since you’ll need to squat down a bit more than normal at the start. Overall, simply making slight changes in your normal stance or grip can be all it takes to reap the rewards of the assistance lift, without the drawbacks of a movement that’s too general to transfer to the core lift you’re trying to improve. If you find that such changes are not sufficient however, you can always move toward even less specific exercises, but my advice would always be to err on the side of specificity, at least initially. About six months ago, I was becoming enamored with the idea of making my training as tough as possible, for the purpose of psychological hardening. I was doing things like taking less rests between sets than usual, taking bigger jumps in my warmups than normal, and training alone and/or with no music. Another tactic I used was training beltless. I reasoned that this was one of the things I REALLY relied upon, so perhaps by taking away that luxury, I’d harden up in a way that would benefit my training. At the very least, I figured that if I could increase my baseline beltless PR’s then my belted PR’s would increase as well. You might argue that I need to to do assistance work for my core. And perhaps you’d be right, but first let me share the other possibility with you. I’ve always looked at the belt as an anchor for my abs — something they can push against in order to better stabilize my torso. To better appreciate what I’m talking about, imagine a 400 pound box sitting in the middle of a slick tile floor, and you’re trying to move it by “leg pressing” it in a seated position. It doesn’t work of course, because as you push with your legs, you simply slide backward, away from the box. the problem is, you’re strong enough, but you’re lacking an anchor. What if, on the other hand, that box was about 3 feet from a wall? Now, you can wedge yourself between the wall and the box, and this time, you’ll succeed because now, you’ve got something to push against. Cutting to the chase, I now use a belt for my heavier squats and pulls, but I do occasionally perform fairly heavy belt less lifts just for the sake of variety and developing mental toughness. Your mileage will vary of course — I’m simply providing the rationale for the decision I made regarding belt use. Interestingly enough, the lats end up being crucially important in 2 of the 3 power lifts (the bench and deadlift). They also seem to play a big role in core stability, which of course, should express itself during squatting performance. So here we have an example of assistance lifts that don’t outwardly resemble any of the power lifts, but that in reality, can play a key role in all three. In this particular case, we’re not looking at movement-specificity, but rather, muscle-specificity. I’ve always found that people vary considerably with respect to which exercises seem to be most effective for lat training. Some people absolutely thrive on rows for instance, where others (me included) find that vertical pulling movements are much more effective. While superficially, rowing variations seems more specific to deadlift performance, I’m not sure it matters much in the big scheme of things. The main take-home point is, you need strong lats, almost no matter what your core lifts happen to be. A time-worn principle in sport science is that each training cycle should move from general to specific. While I’ve argued for slightly more specific types of assistance lifts in this article, I don’t necessarily think you need to start each training cycle that way. Looking at 12 weeks worth of squat training as an example, you might in fact implement front squats as an assistance drill for the first 4 weeks, then high-bar squats for the second month, and finally, paused low-bar squats during the final phase. With this type of strategy, no need to abruptly switch from one exercise to the other every 4 weeks. Instead, gradually phase one exercise in while simultaneously phasing the older exercise out: week 4 might feature 4 sets of front squats, while week 5 might be 3 sets of front squats and 1 sets of high-bar squats. The following week, 2 sets of each, and so on and so forth. 6) BONUS STRATEGY: Trust Your Intuition! While it’s always best to trust in science, and to prioritize principles over individual practices, not everyone falls in the middle of the bell curve. So if you’re convinced that a specific assistance exercise or strategy has been paying off for you, I’d certainly continue with it, even if it’s not on my list of favorites. In fact, if you’ve noticed any specific and/or unusual correlations between an assistance lift and a core exercise in your own training, I’d love you to share it with me. Prominent both the United States and across the globe, Charles is recognized as an insightful coach and innovator in the field of human performance. His knowledge, skills and reputation have lead to appearances on NBC’s The TODAY Show and The CBS Early Show, along with numerous radio appearances. 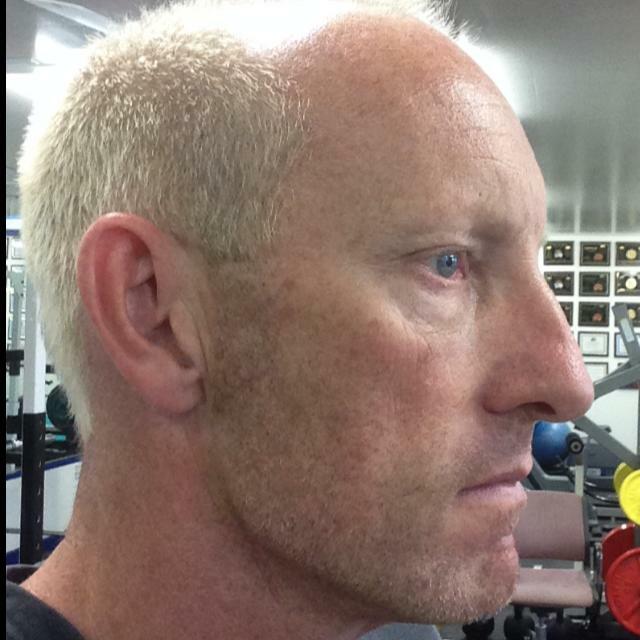 He has also authored more than a thousand articles for leading fitness publications and websites, and has lectured to eager audiences around the World. Charles is not only a thinker, but also a doer: At age 54, he competes in the sport of raw powerlifting, and is a 2-time World Champion (220 and 198-pound weight classes). Find Charles online at www.TargetFocusFitness.com. For distance coaching opportunities, email Charles at charlesstaley@me.com. 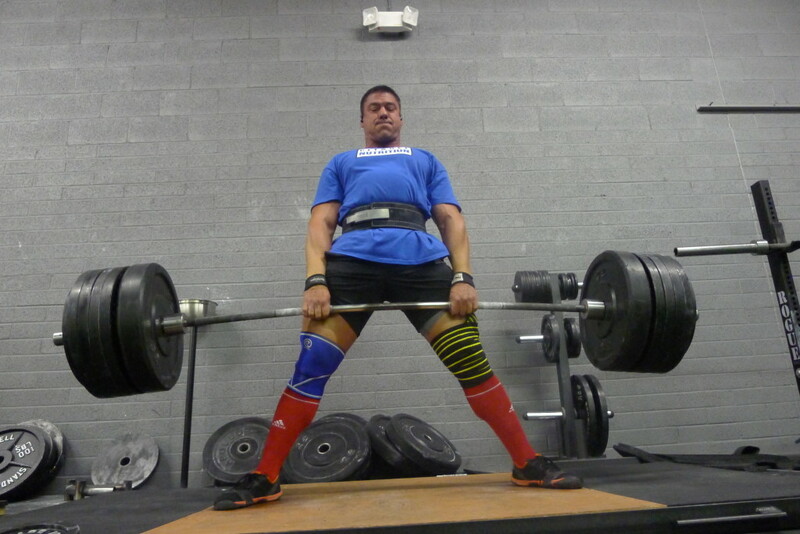 The post 5 Smart Assistance Exercise Strategies for Powerlifting And Overall Strength Mastery appeared first on Bret Contreras. The post From the lab to your pocket – Part 2: Accurate max strength measurement with your iPhone appeared first on Bret Contreras. The post How Femur Length Affects Squat Mechanics appeared first on Bret Contreras. The post Calculating Joint Moments in the Squat appeared first on Bret Contreras.